A number of notable horses have come through the Twombly Performance Horses barns, but one has become an international celebrity. This Whiz Shines, commonly known as Smoke, is the companion of Triple Crown winner American Pharoah. "We bought him from a Montana lady to be a highlight horse in our Las Vegas sale," Dan Twombly said. Lori Waters owned the horse and he had a win record in reining. 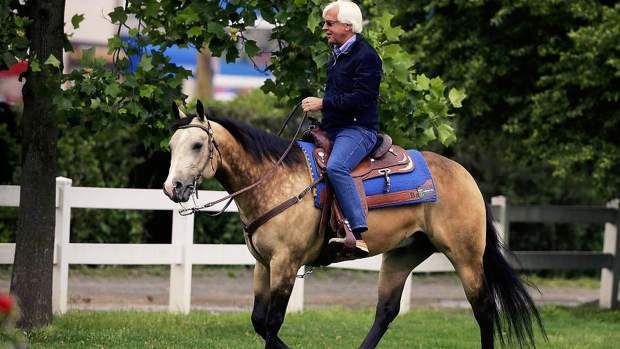 Bob Baffert, American Pharoah's trainer, bought him for his personal horse. "(Baffert) bought a horse from us before and they told us he was the greatest Thoroughbred trainer in the world," Twombly said. Smoke rode in planes and trailers with American Pharoah, and "I guess he got to liking him," Twombly said. "The horse did all those interviews." What Twombly means is when former jockey Donna Brothers does television interviews with jockeys, or on the track to talk about everything from ground conditions to betting odds, she is riding Smoke. The buckskin is easy to spot. 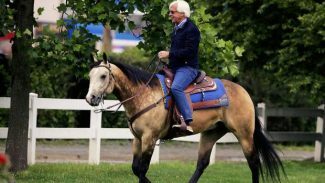 Baffert's testimonial on the Twombly website says Smoke is his favorite horse ever. That is the Twombly trademark, they deal exclusively in colored performance horses. Twombly Performance Horses is located at Coyote Slide Ranch in Bayard, Neb. "It's as far west as you can go," Twombly said, "thirty miles from Wyoming. 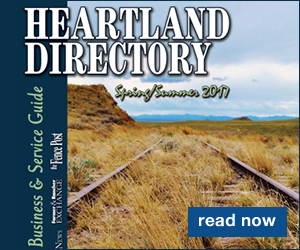 The closest town of any size is Scottsbluff." Any horse trader will tell you color sells and color along with superior ability will sell high. 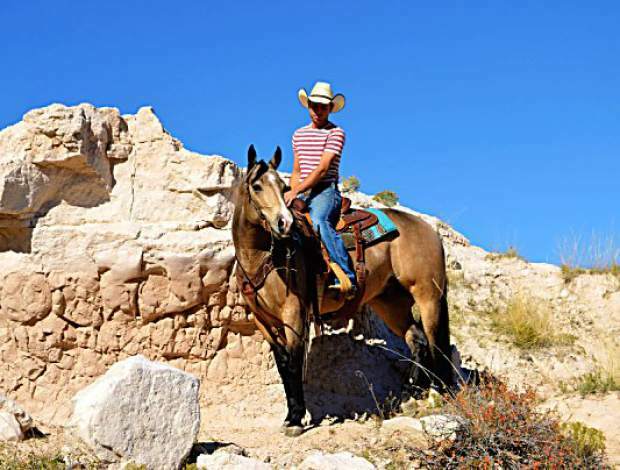 Twomblys specialize in training quality geldings for ranch, trail and roping, but Twombly said their sale horses have been used for many events, including reining and ranch sorting. "There are lots of nice bays and sorrels," Twombly said, "but a nice horse that is colored is harder to find. Buckskins, duns and palominos are more plentiful. We don't run many grullos through here. "All my life we've had horses," Twombly said. "I graduated in 1980 and in 1989 we started strictly horses." Twomblys buy many of the sale horses, but raise some, including Hollywood Dun It blood lines. "We've got about 75 mares," Twombly said. "We've cut our mare band down." The family trains, but their claim is that a sale horse they buy will double his potential by the time he is in one of the sales. "We put miles on them," Twombly said. "Outside miles." Twombly Performance Horses has two major sales each year, both in conjunction with major rodeo events. 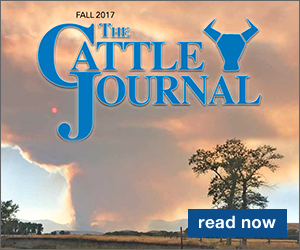 This year on July 25 the sale was in conjunction with Cheyenne Frontier Days as it is each year. The other yearly sale is held at Mandalay Bay casino in conjunction with the Wrangler National Finals rodeo. "When we buy a horse, we buy it to promote our sales," Twombly said. "Just me and my family buy all our horses for our sale. We personally pick each one. Our claim to fame is broke horses. We do lots of outside riding, maybe three or four days outside and two days in the arena. Exposure is our claim to fame." The family includes Twombly's three children and one son-in-law. "We recently joked that we had trailers in 15 states," Twombly said. The July sale in Cheyenne included 34 horses, mostly geldings, but there were three mares. Potential buyers are invited to the ranch any time to ride prospects of interest. "We promote 'come before the sale to ride our horses,'" Twombly said. Last year's Cheyenne sale, held on the street in front of the Wyoming State Capitol Building, drew buyers from 29 states and Canada. It was Twomblys' 34th sale in Cheyenne. The high seller brought $41,000. The sale average was $15,450. In Las Vegas last December, 25 horses were sold to buyers from 32 states and two other countries. The top five sellers averaged $30,200, with the overall average at $14,600. Baffert purchased Smoke for $41,000. The five-year-old was advertised as a finished reiner and "as cool as they come." He's turned out to be more than one kind of cool. Smoke is a celebrity in his own right. He is traveling companion to a Triple Crown winner and a good public relations horse for the Twombly family.